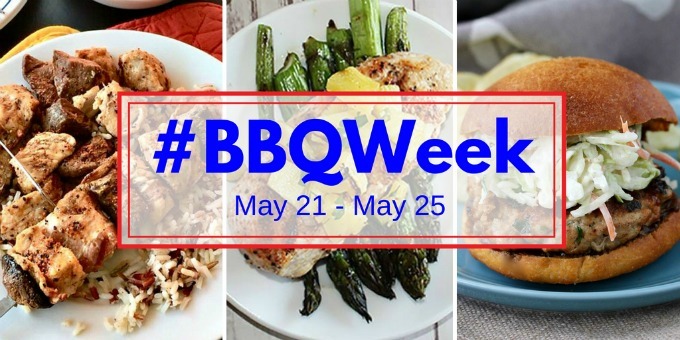 It’s Day 2 of #BBQWeek hosted by Ellen of Family Around the Table and Christie of A Kitchen Hoor’s Adventures. This week more than 20 bloggers are sharing recipes with you, perfect for your next grilling adventure or BBQ. Our awesome sponsors; Adams Extract and Spice, Not Ketchup and Michigan Asparagus have also offered up some really cool stuff that you can enter to win. Scroll down to find the rafflecopter and make sure you enter! I’ve been impatiently waiting for watermelons to come into season since like March. We had a hint of a few warm days back then that made me start thinking about spring and summer and all of the wonderful produce that is offered. 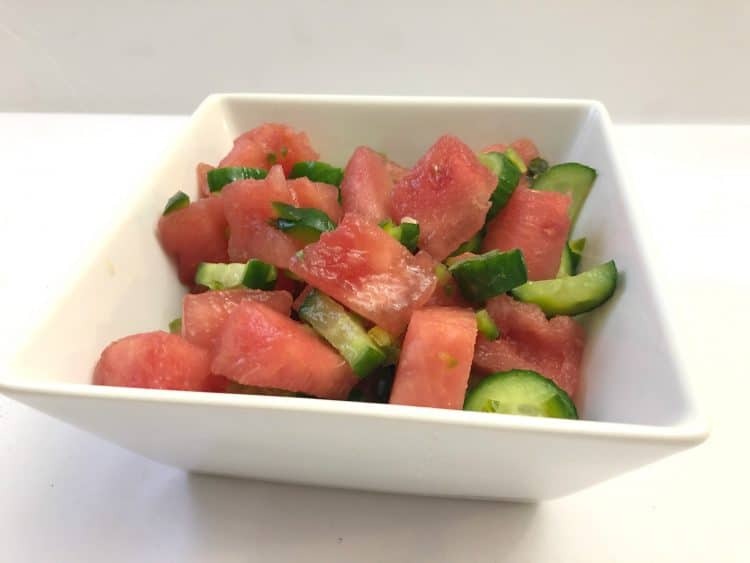 Of course, the cold weather came back and hung on like a toddler in the middle of a tantrum for quite too long, but the warm weather is finally here and watermelon is in season enough that I’ve been buying it every week. 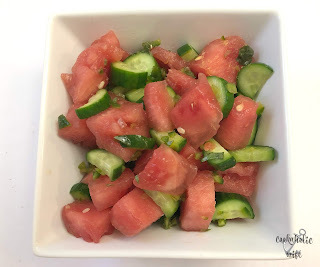 I typed in “watermelon salad” into Pinterest and first saw an image showing watermelon with cucumber and jalapeno. I didn’t even bother to open up the recipe and check out the ingredients, I had all of those on hand and thought I should make my own version. 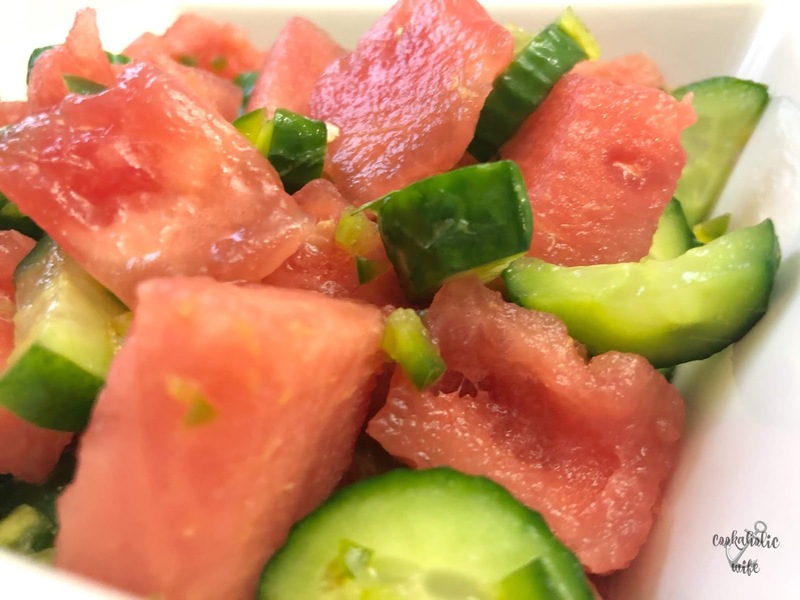 Light and refreshing with a hint of heat, this summertime salad featuring watermelon, cucumber and jalapeno is sure to delight! 1. Toss all of the ingredients in a large bowl to combine. 3. Will keep in the fridge for 3-4 days. This salad was everything I was expecting it to be. It’s light, refreshing, slightly spicy and perfect for those hot summer days. Enter below to win awesome prizes! I'm so ready for good summer watermelon! I'm saving this recipe! Spicy and cooling at the same time! Sounds delish. Such a great salad! 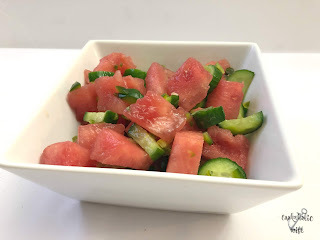 Combining watermelon, cucumber and jalepano is awesome. Love mixing sweet and spicy. Yummy!